New Orleans once was one of the largest cities in America- for over 140 years. Today it is an exciting place to live with an intoxicating culture steeped in its 300 year old history, but for those who have lived here long enough to see their children go from the “Trinity Pink Party” to LSU Engineering School, a silent but deadly penalty stymies the growth of wealth. Nobody talks about it, but we all endure it. You don’t realize how big of a penalty it is until you visit other cities and see how their growth far surpasses the growth of New Orleans, and has been for years. The challenge is to understand our history of wealth creation as a city and then to do something about it to make it better. It requires a long term strategy and local and state government action. This article uncovers the reality of wealth creation in New Orleans which is composed mostly of real estate and not stocks or bonds, and suggests some reasonable solutions to make things better. We conclude by tying in how population growth creates wealth in home prices and commercial real estate. New Orleans was founded by Jean-Baptiste Le Moyne de Bienville in 1718 and in 1722 replaced Biloxi as the capital of French Louisiana, but was destroyed by a hurricane in 1722. In 1763, New Orleans was given to the Spanish, confirmed by the Treaty of Paris. In 1800, Spain gave Louisiana back to France and in 1803, Napoleon sold it to the United States in the Louisiana Purchase. Due to demand for sugar and invention of the cotton gin by Eli Whitney, along with the competitive advantage of being a port city, New Orleans’ population grew from 10,000 in 1805 to 100,000 in 1840, making it the 4th largest city in the United States. 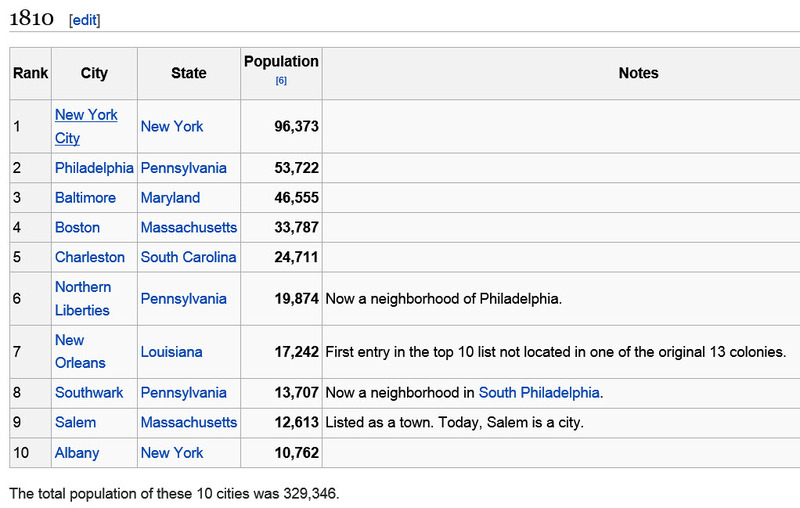 In 1810, New Orleans ranked number 7 with a population of 17,242 even though it was not one of the 13 original colonies. With the advantage of being a port city and the ability to trade sugar and cotton, New Orleans remained a Top 5 City In The U.S. until 1840. 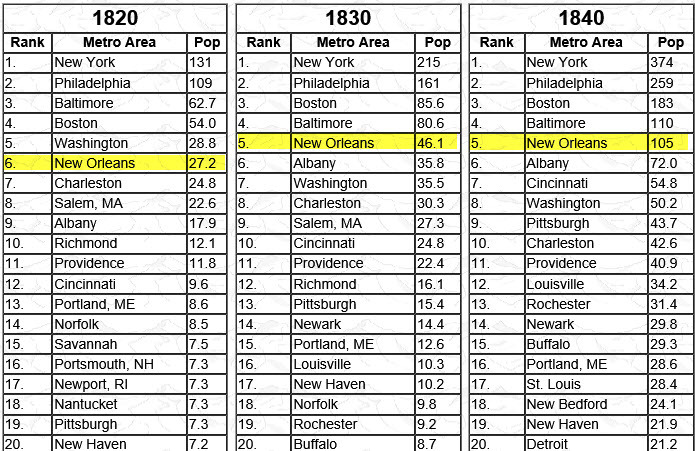 For another 100 years, New Orleans maintained its population ranking among the TOP 20 U.S. Cities. The highest population for New Orleans Metropolitan Area was in 1950 at 660,000, ranking it the 20th most populated city in the United States. 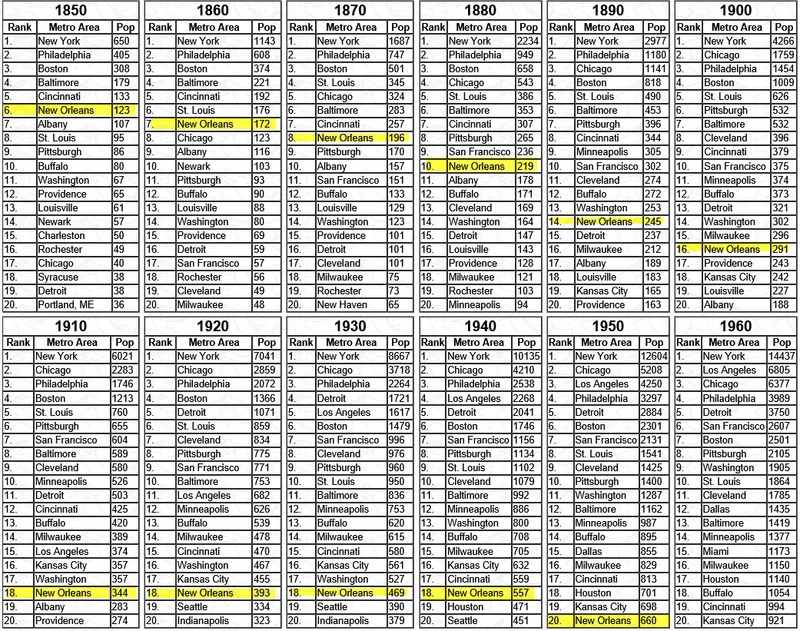 Houston ranked 18th at 701,000 and New York 1st at 12,600,000. Today, the New Orleans Metropolitan Area has a population of 1.2 million, Houston has 5.6 million and New York has 20 million. 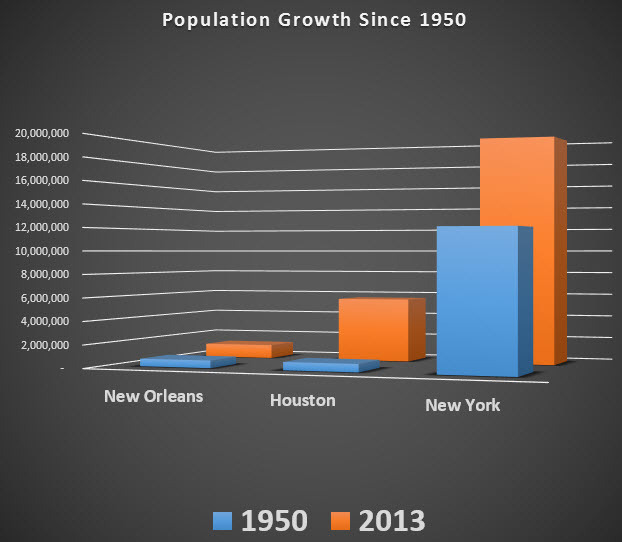 In percentage terms, New Orleans has grown 1% annually since 1950 while Houston has grown 11% annually. The lesson to be learned from history is that for 140 years, from 1810 to 1950, New Orleans was a major city in the United States, with a transportation hub in its port and growing industry and wealth creation. Then it plateaued. The reason population growth is important is because it is the driver to a city’s economy and causes home prices to increase which drives wealth creation which drives consumer spending due to more disposable income which drives commercial real estate development. Most of the research from the National Bureau of Economic Research on home prices centers on affordability, or income relative to home prices. When home prices increase, they become less affordable. The important point is that as a city’s population increases, there is a higher number of consumers, and even if they have no increase in income, the growth in numbers will result in higher gross disposable income which will drive commercial real estate development of retail stores to satisfy that disposable income, apartments and hotels to meet the need of increased housing, and eventually warehouses to meet the needs of the businesses that supply to those businesses. It is a Domino Effect. The increase in population drives real estate prices higher, which leads to higher wealth for individuals since most of their wealth is in their home and rental property, not in stocks and bonds. This is especially true in New Orleans because as a nearly 300 year old city, there are many generations to have passed along the fully paid for family home and rental property to their children. 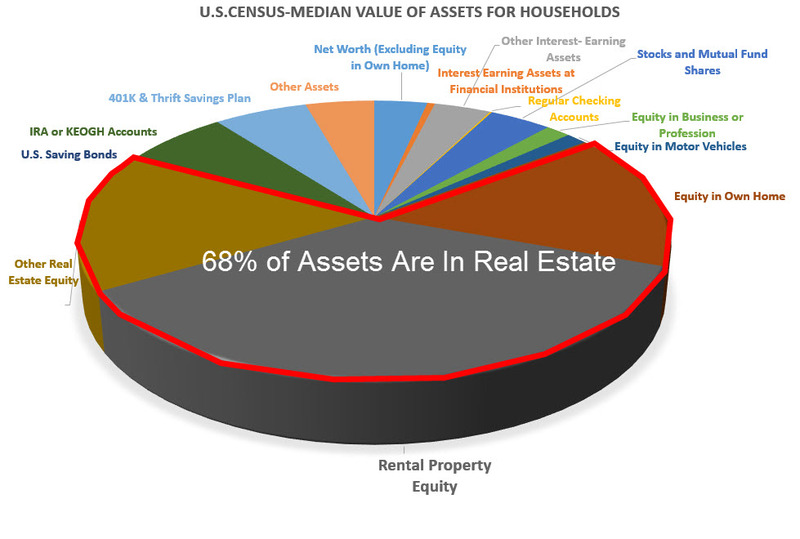 The U.S. Census research shows, on average across America, that 68 percent of a household’s wealth is in real estate. where is the average household’s wealth? The hidden penalty since the 1950’s for those of us living in New Orleans has been that compared to those who moved to Houston, our real estate has not increased as much in value, and therefore our net worth has not increased as much. Correlating home prices to population growth would allow us to put this into numbers. Since 1950, a $200,000 home in New Orleans would now be worth $400,000, but in Houston would be worth $1.4 million. While nobody would say a gain of $200,000 in wealth was immaterial, it wouldn’t pay for retirement or an out of state college education. In Houston however, the same home would have created wealth of $1.2 million which could finance a condo in Destin, a college education and still have $600,000 left over for dinner at Galatoire’s and karaoke at Cat’s Meow. The solution is for New Orleans to get back on track by focusing on population growth, and we are already making headway because visitors and entrepreneurial Tulane students are choosing to stay and live and work here. In order to attract large businesses like General Electric, who is hiring 200 software engineers, we need to have a pipeline of engineers fed from well educated high school students, and not just $60,000 dollar a year private schools. New Orleans has to bring professional leadership to its Board of Education and provide real measurable results-oriented teaching. We need accountability in the police department and a partnership with the judicial system to reduce crime which can be a major reason why people don’t move here. We need a fire department that doesn’t mismanage their members’ retirement savings, causing the City to fund a $17 million dollar shortfall. Imagining a city growing to 5 million in population means we need high speed rail to the airport from downtown, and a reduction in the 20% tax on the hospitality industry. Eliminating state income taxes with bring businesses and retirees to the area fast. Getting New Orleans back on track can be accomplished, we just have to look back at why we were at the top for over 140 years, and figure out how to do it again. For more articles on New Orleans real estate and how demographics affect commercial real estate, go to Louisiana Commercial Realty, LLC. Metropolitan Area is defined as: Metropolitan and micropolitan statistical areas (metro and micro areas) are geographic entities delineated by the Office of Management and Budget (OMB) for use by Federal statistical agencies in collecting, tabulating, and publishing Federal statistics. The term “Core Based Statistical Area” (CBSA) is a collective term for both metro and micro areas. A metro area contains a core urban area of 50,000 or more population, and a micro area contains an urban core of at least 10,000 (but less than 50,000) population. Each metro or micro area consists of one or more counties and includes the counties containing the core urban area, as well as any adjacent counties that have a high degree of social and economic integration (as measured by commuting to work) with the urban core.